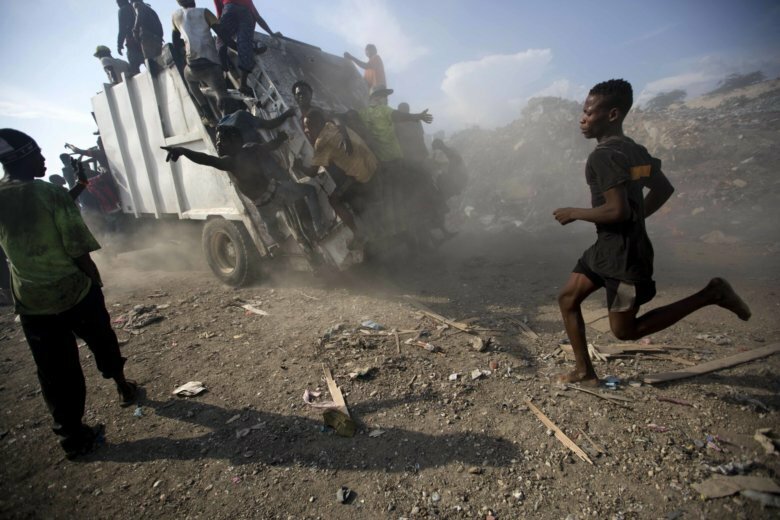 Haitians eking out livings picked through the garbage dump for the capital, while some people in Argentina are starting to go hungry as the nation’s economic crisis begins to hit the poorer portions of the population. In Brazil, far-right presidential candidate Jair Bolsonaro recuperated from a nearly fatal stabbing while his rivals hit the campaign trail and the Workers Party named Ferando Haddad to replace jailed ex-President Luiz Inacio Lula da Silva as its nominee in the October election. Chile marked the 45th anniversary of the bloody military coup that toppled the democratically elected government of Marxist President Salvador Allende, which led to the 17-year dictatorship led by Gen. Augusto Pinochet. Guatemalan President Jimmy Morales continued grappling with a United Nations-backed anti-corruption commission amid growing protests in the streets. In sports, a girl in Argentina was blocked from playing in a soccer league with a team of boys, while former Argentine soccer great Diego Maradona took over as manager of a Mexican team, Dorados of Sinaloa.